Graviton is a powerful villain who has often battled the Avengers and the Thunderbolts. He has the power to control gravity which means he can lift up buildings, objects, and persons. He can hold an army of heroes in the air helpless. Franklin Hall appeared in the first season of Agents of SHIELD as a scientist working on Gravitonium. Hall disappears inside of the Gravitonium. The Gravitonium is revealed to be powering the Light House space station in Season 5 Episode 8 of "Together or not at All". Franklin Hall is a world renowned physicist from Canada. An experiment that goes wrong causes graviton particles to merge with his own molecules. This result him being able to control gravity. While first he hides his ability he becomes seduced by the idea of power. He takes on a costume and becomes a supervillain. In his first major criminal effort he attacks a scientific facility by lifting it high in the air. He is able to almost fully demobilize the Avengers with the exception of Black Panther. Black Panther sneaks away and summons Thor for aid. The two battle and eventually defeat Graviton. Graviton is seemingly killed. He returns, dies, and returns again. Has the power to create and control gravitons and anti gravitons thus giving him the ability to control the force of gravity. With his control of gravity he can then fly, create force fields, simulate extreme superhuman strength, fire concussive blasts, crush people, lift objects and people. He once lifted a 4 mile wide landmass into the air and caused it to float. He once lifted an army of super heroes into the air that included a slew of heavy hitters and they were helpless in the air. Franklin Hall appeared in the first season of Agents of SHIELD as a scientist working on Gravitonium. Hall disappears inside of the Gravitonium. Coulson was unable to save Hall from being sucked into the substance. Garrett at one point mentions that he can sense a presence in the substance. The Gravitonium is taken by villains Ian Quinn and Rainna in Season 1 but is not mentioned again for the next few seasons. In Season 5 Gravitonium appears again. The Gravitonium is revealed to be powering the Light House space station in Season 5 Episode 8 of "Together or not at All". Fitz finds cannisters of Gravitonium that appear to be the powersource of the Lighthouse space station. This is the most signifcant mention of Gravitonium in the show since season 1. 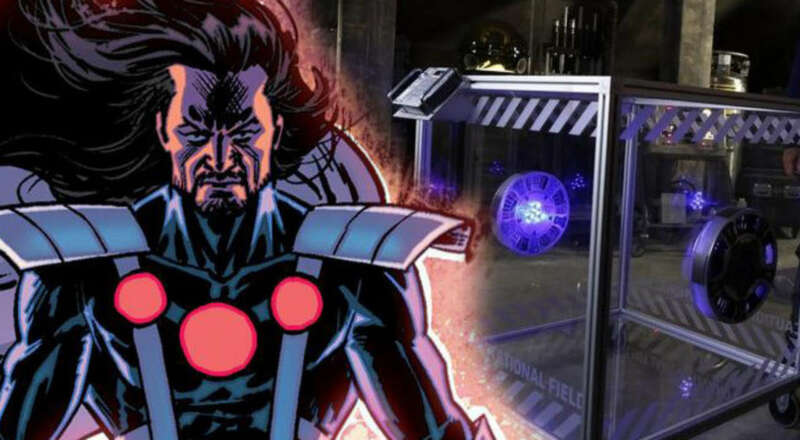 The Gravitonium is merged with the character Glenn Talbot making him into the MCU version of Graviton.